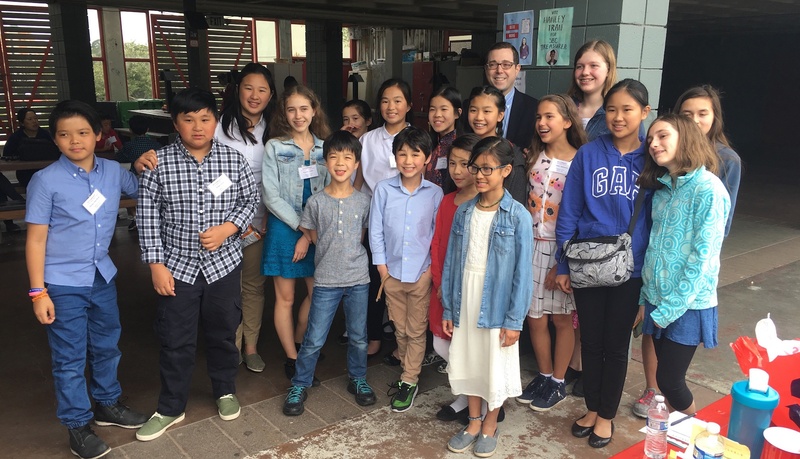 As always, ISTP students took top honors in the the most competitive Full Immersion category that includes peer schools like Chinese American International School. All of our students did a great job and we were proud to have them representing ISTP. Congratulations to all the winners! This was the contest's forty-second year, and ISTP students in grades 3-8 participated. Note: the contest has been decreasing in size for the past few years, so most categories only had 1st and 2nd place winners (no 3rd place). The contest policy is that any category with less than 10 students only has 1st and 2nd place winners. 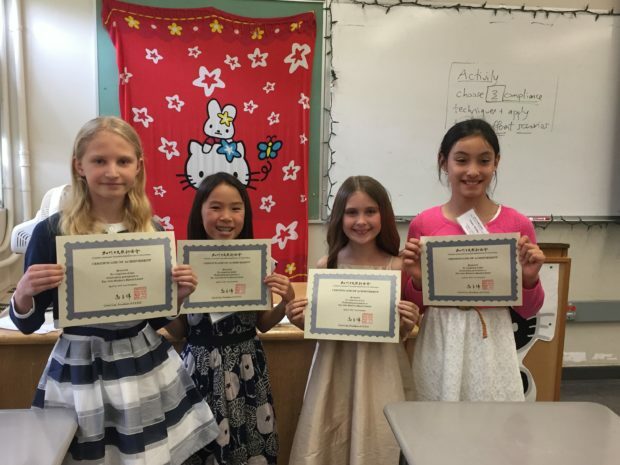 This year's ISTP Speech Team included students who were selected from grades 3 through 8 by a committee of teachers. We are proud of all of them for their great work! 3rd Grade: Julian F., Oona M., Bella R., Tian-Tis S., Lucas T.
4th Grade: Sarina G., Zoe L., Isabella M., Monika P., Liv S.
5th Grade: Emily C., Kasper H., Tatiana M., Chloe T., Kevin Y. 6th Grade: Victoria C., Alessandra D., Chih-Hsuan H., Lowell K., Gavin W.
7th Grade: Darcy C., Natalie C., Charlotte F., Christine H., Christopher L.
8th Grade: Claire L., Nicholas M., Skylar O., Azalea W., Madeline W.